Grandpa Steve and his boys are ready to tackle any problem that might arise in your ride, from simple tune-up to complete rebuild. If you need your bike freshened up, or completely restored, Cycle-Moore is up for the task. We understand your needs, we're just like you. We also know that money doesn't grow on trees, and we'll work to find the most economical solution to whatever the problem might be. We are working nine lifts, and can handle any and every brand known to man - and then some. Whether it be a Harley Davidson, Triumph, BSA, Honda, Kawasaki, vintage Indian or any of the dozens of other motorcycle brands, Cycle-Moore has the experience and the skills to get the job done. 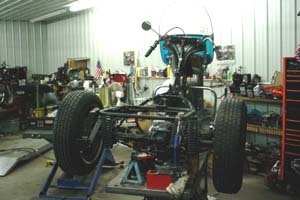 Cycle-Moore has been in business since 1975, and is one of the oldest independent motorcycle shops in Michigan. 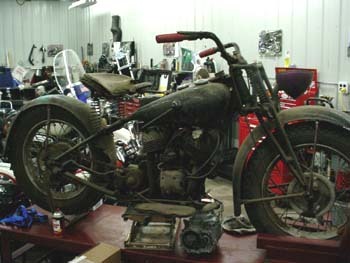 If that isn't impressive enough, Grandpa Steve has been a certified Harley Davidson mechanic since the '60's! He and his boys strive to give you the level of excellent service that all Cycle-Moore customers deserve. We're a family run business, and once you are a Cycle-Moore customer, you're family too. Stop in and see what we can do for YOU!